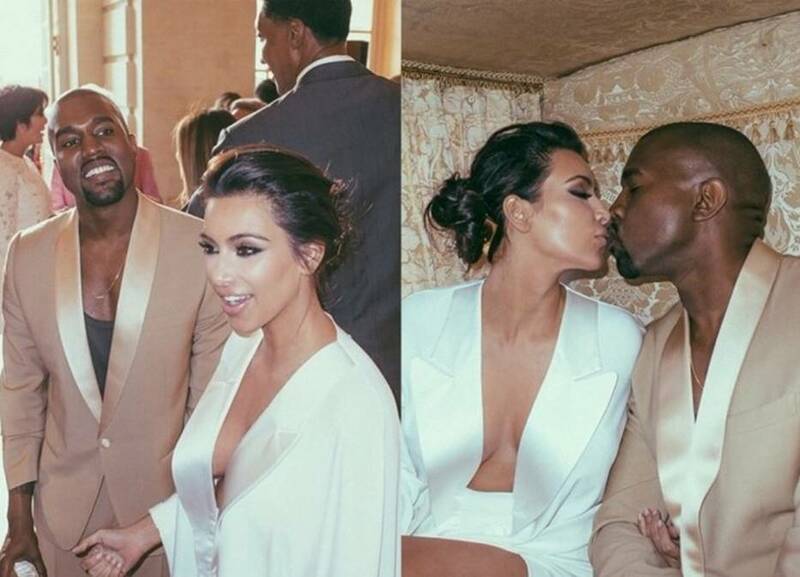 Kim Kardashian West has been married to husband Kanye West since 2014. It seems like “third’s” a charm for the reality TV star as her marriage, which is her third, is going strong. 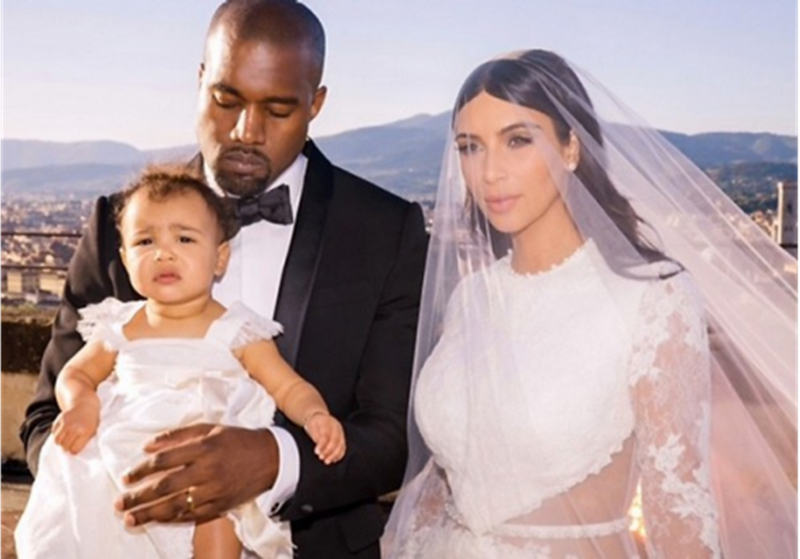 The couple is blessed with two children, North and Saint. 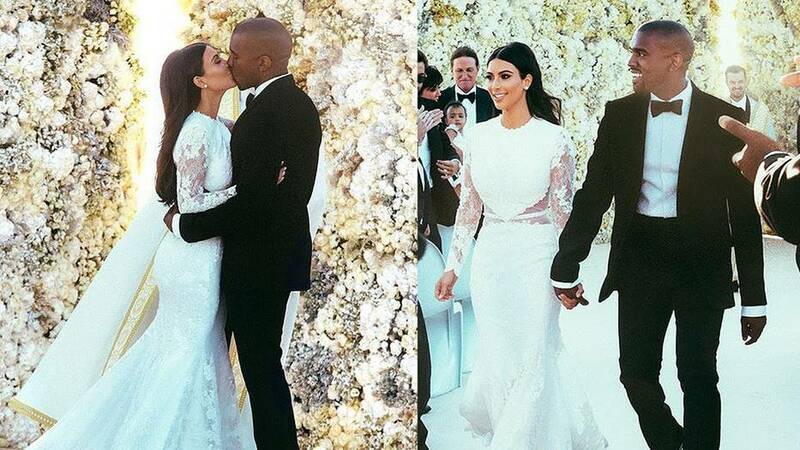 Kim and Kanye, also known as Kimye, had an over the top wedding that had an estimated total cost of $12 million to $14 million! 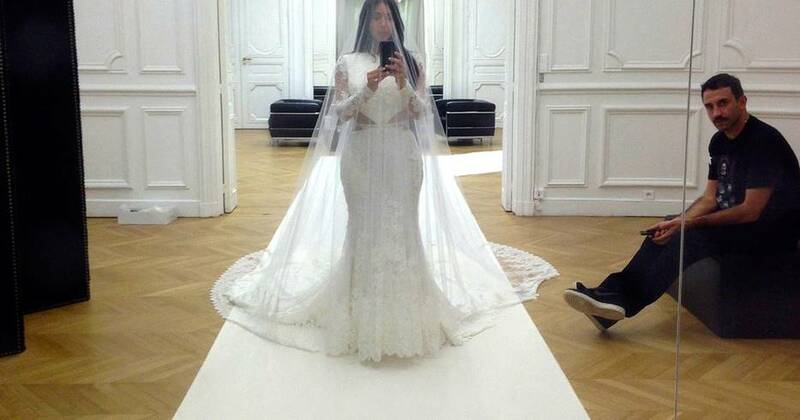 Kim Kardashian’s wedding dress alone reportedly cost half a million! 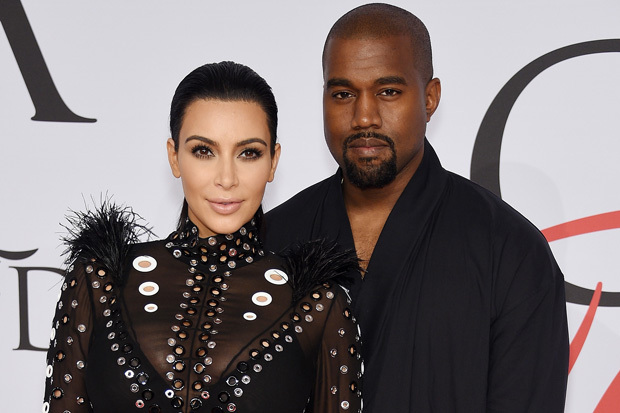 Kim and Kanye had been longtime friends before they even began dating. They started going out in 2012, while Kim was still having her divorce with Kim Humphries processed. 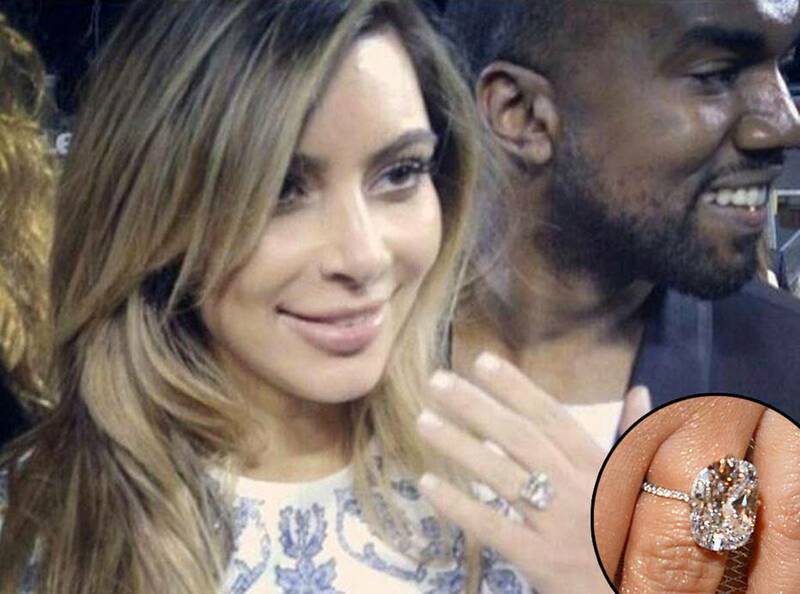 Kanye proposed to Kim on her 33rd birthday celebration with a $1.6 million 15-carat square diamond ring from Lorraine Schwartz that he personally designed. On May 24, 2014, Kanye and Kim tied the knot in front of 100 of their close friends and family members in Florence, Italy. Kim showed off her killer curves on her half a million dollar Givenchy wedding gown that was designed by Riccardo Tisci. 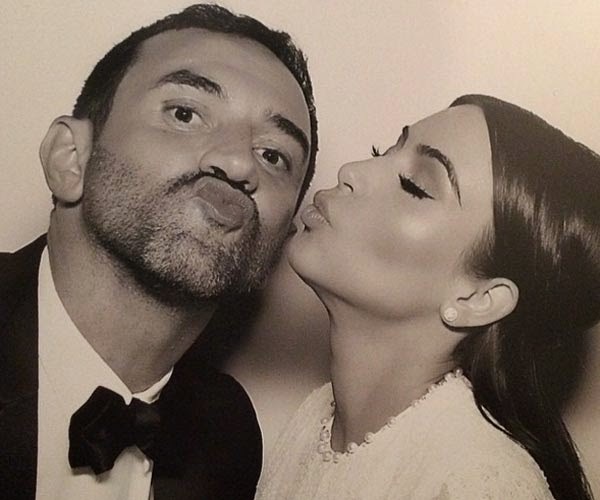 She even had a snap taken with the wedding dress designer himself Riccardo Tisci at a photobooth on the wedding day itself. Kanye West also wore a Givenchy tuxedo that was custom made, while their daughter North had a mini Givenchy dress. Prior to the wedding, the wedding party had a dinner at the Palace of Versailles where Kim opted for a white tuxedo jacket by Maison Martin Margiela. 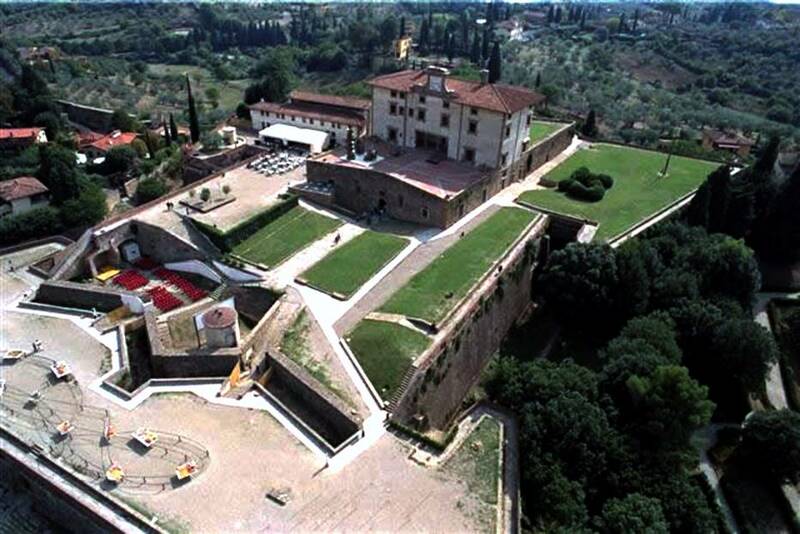 The rental of the Forte di Belvedere property where they said their “I Dos” reportedly cost $409,000 and that’s without the lighting, and other decorations used. Kim and Kanye’s 7 feet wedding cake (at the left of the picture) reportedly cost around $7,000! The couple opted for vanilla and berry for the flavors. Prior to marrying Kanye, Kim married NBA player Kris Humphries in 2011 where she wore a princess ball gown wedding dress.